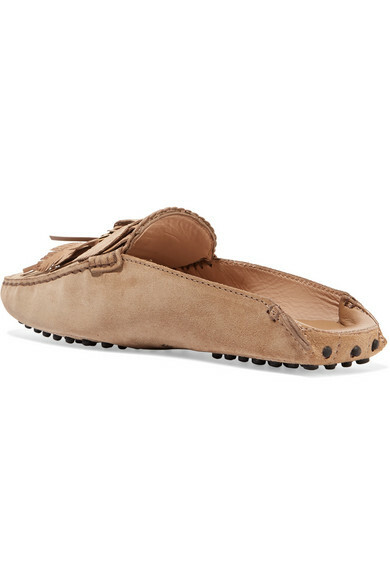 Tod's 'Gommino' loafers have been re-imagined in a backless slipper silhouette, making them even easier to slip on and go. 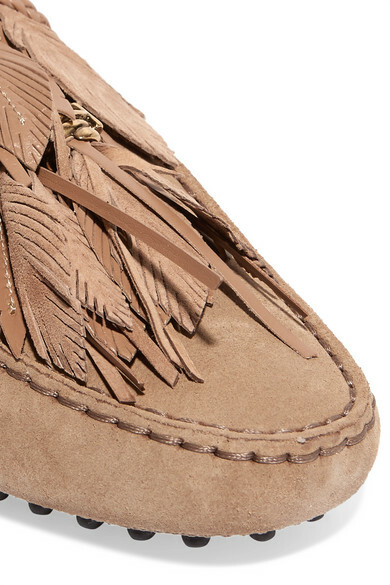 This suede pair has been handmade in Italy and decorated with gold hardware and layers of swishy fringe cut to resemble feathers. 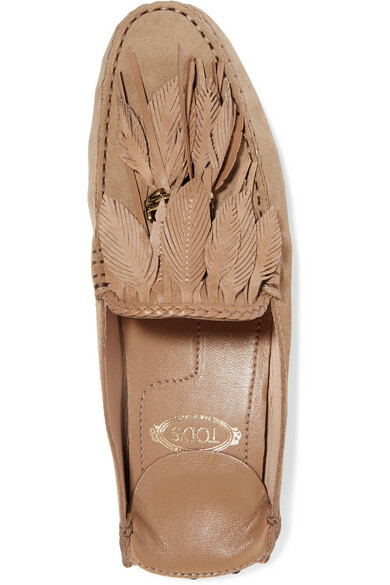 They rest on the brand's signature pebbled soles. 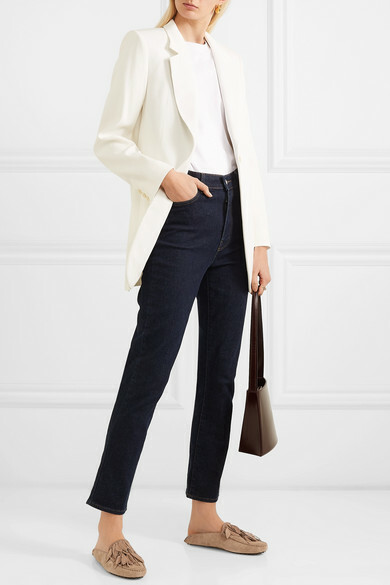 Shown here with: Isabel Marant Blazer, Ninety Percent T-shirt, CASASOLA Jeans, LOW CLASSIC Shoulder bag, 1064 Studio Ring, Paola Vilas Ring, Leigh Miller Earrings.